On May 6, 2012, a small group of people began to gather to worship and form a new church in the small town of Saticoy. The name Saticoy is derived from a Chumash word meaning "Shelter from the Wind", a name that would become a reality for many. In June of 2018, we moved to our current facility, at Washington School Auditorium, 96 MacMillan in Ventura. As we look at the past 6 years we find this verse to be a meaningful description of what God has done and continues to do among us. Look, a righteous king is coming! 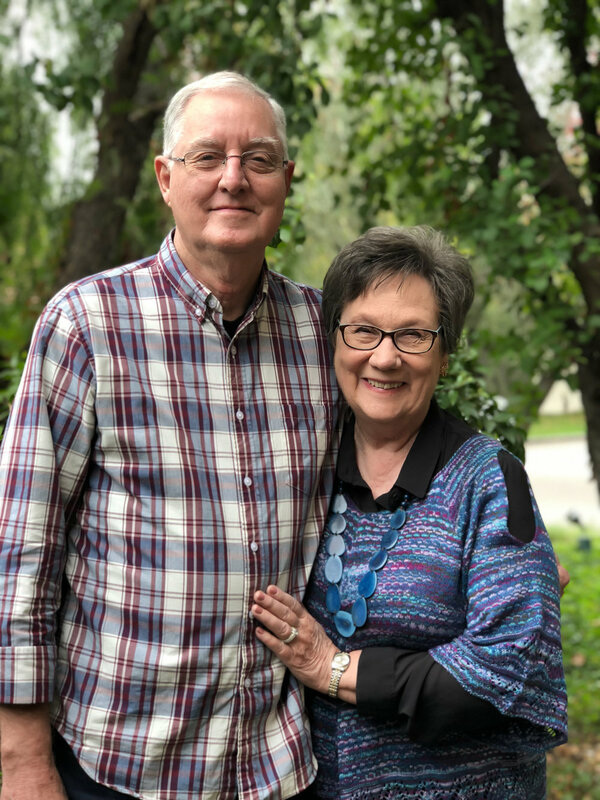 At the beginning of their ministry, Rex and Sherry Holt were deeply used of God in Togo, West Africa, among University students and tribal peoples. On returning to America they pastored several mega churches, and in the past decade have planted several churches, including Saticoy. Rex and Sherry are people who love. Rather than requiring you to become fuel for the furnace of their vision, they become fuel for your God given vision. They empower people to find their identity, community, and destiny in a nutrient rich environment of love, and freedom in the Holy Spirit. Joey and Fawn Parish are known for breaking out in song on almost any subject. Together they have ministered across America and in many nations. They have been privileged to love and serve many varieties of God's beautiful family, including Saticoy. Together they produce books, films, and media. God's fame and renown is the desire of their hearts. The Bible is the divinely inspired revelation of Himself to man. It is a perfect treasure of divine instruction. It has God for its author, salvation for its end, and truth, without any mixture of error, for its matter. It is the final authority of Christian faith, teaching, and living. There is one true and eternal God. He exists in three persons: Father, Son, and Holy Spirit. He is the creator and sustainer of heaven and earth. He has revealed himself through his creation, his written word, and his son Jesus Christ. He is perfect in love and righteous in all his ways. Jesus Christ is the eternal Son of God. He is true man and true God. He was conceived by the Holy Spirit, and born of the virgin Mary. He taught us how to live. He lived a sinless life yet was crucified as a sacrifice for our sins. He arose bodily from the dead. He was seen by over 500 people. He ascended to heaven to sit at the right hand of God the Father. The Holy Spirit is the Spirit of God, fully divine. He convicts of sin, of righteousness and of judgment. He enables believers to obey Jesus Christ as Lord. He lives in believers, comforts them, cultivates Christ-like character and bestows spiritual gifts by which they serve God through His church. He seals believers unto the day of final redemption. He empowers believers in worship, evangelism, and service. Salvation involves the redemption of the whole man, and is offered freely to all who trust Jesus Christ as Lord and Saviour, who by His own blood obtained eternal redemption for the believer. In its broadest sense salvation includes regeneration, sanctification, and glorification. Regeneration, or the new birth, is a work of God's grace whereby believers become new creatures in Christ Jesus. It is a change of heart wrought by the Holy Spirit through conviction of sin, to which the sinner responds in repentance toward God and faith in the Lord Jesus Christ. Repentance and faith are inseparable experiences of grace. Repentance is a genuine turning from sin toward God. Faith is trusting in Jesus Christ as Savior and surrendering the entire personality to Him as Lord. Justification is God's gracious and full acquittal upon principles of His righteousness of all sinners who repent and believe in Christ. Justification brings the believer into a relationship of peace and favor with God. Sanctification is the experience, beginning in regeneration, by which the believer is set apart to God's purposes, and is enabled to progress toward moral and spiritual perfection through the presence and power of the Holy Spirit dwelling in him. Growth in grace should continue throughout a person's life. Glorification is the culmination of salvation and is the final blessed and abiding state of the redeemed. The church is the living body of Christ on earth. Christ is the head of the church and the source of its life. The body is composed of those who have received him as savior and Lord. The church exists to glorify God together as we love one another, grow to be like Christ, serve others, and share the good news of Jesus Christ. Jesus Christ will return to earth as King. He will raise the dead and judge the world. He will establish his glorious kingdom. Those who are not reborn will be separated from God forever in Hell. Those who are reborn will live with him forever in Heaven.